This blog contains affiliate links. Click here for a full disclosure. 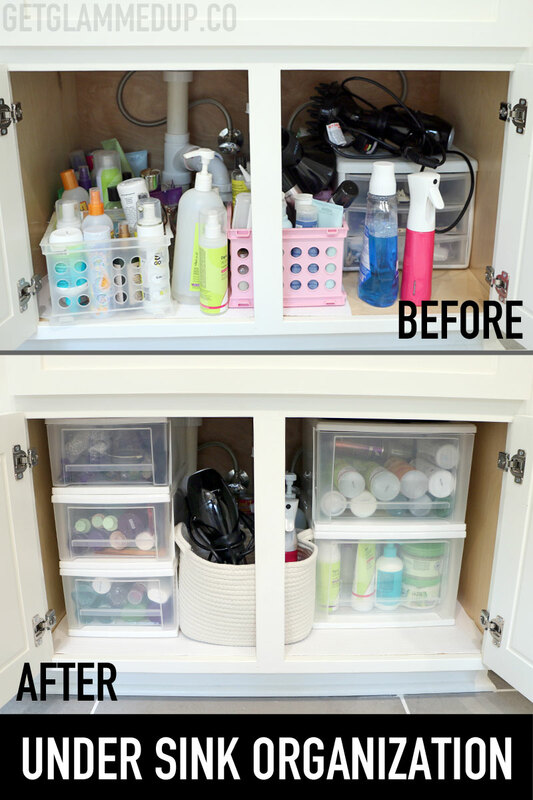 Today we're continuing the Spring Declutter & Get Organized series, and tackling under my bathroom sinks. If you saw my Brand New Farmhouse Tour, you'll see we have a large master bathroom vanity. With so much storage, it's easy for things to get chaotic and unorganized quick. I wanted to find a better way to utilize the amount of storage we have, and be able to stack drawers vertically to get more storage. I also was trying to find the best way to store my blow dryer and diffuser, which can occupy a lot of space. 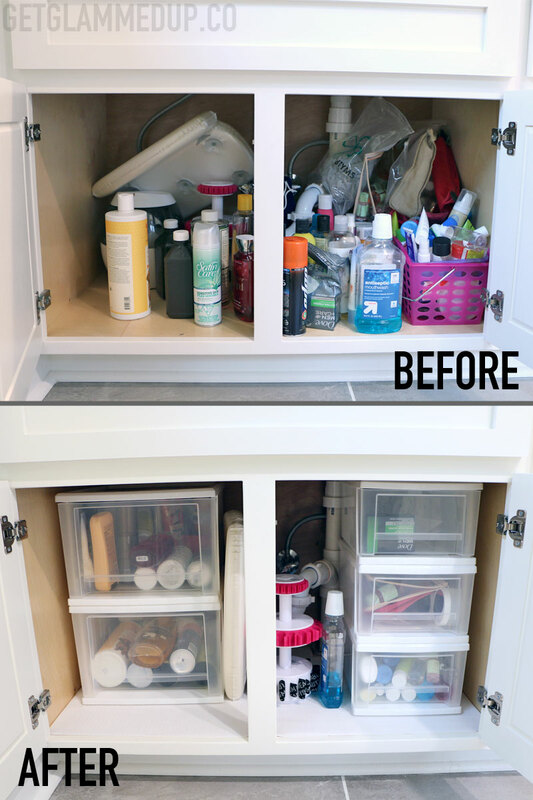 The stackable drawers I found were much cheaper and perfect dupes for the Container Store Like-It system, and function just as well. The Not Your Mother's Curl Talk line are new curly girl method approved products from the drugstore, that are sulfate and silicone-free. It can be so hard to find affordable CGM friendly products from the drugstore, so I was so excited when these came out. I've recently been on the hunt for the best mousse for curly hair, that doesn't dry out my hair or make it crunchy. 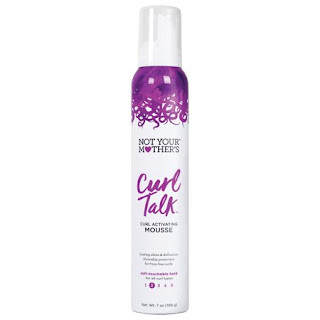 I like the lightweight hold that mousse provides, and it's great for adding volume to fine curly or wavy hair. 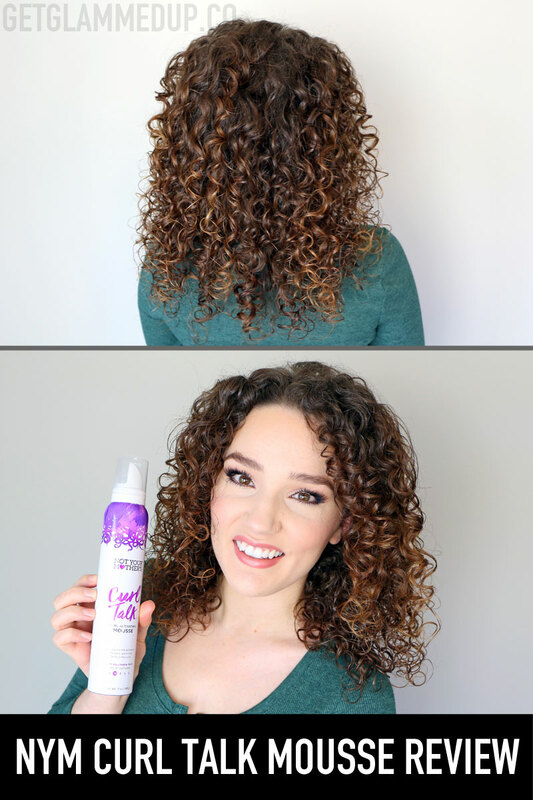 Today I'm sharing how to apply the Not Your Mother's Curl Talk Curl Activation Mousse, and doing a full review on my 3b, fine curly hair. I first did my deep conditioning routine that you can learn how to do here. 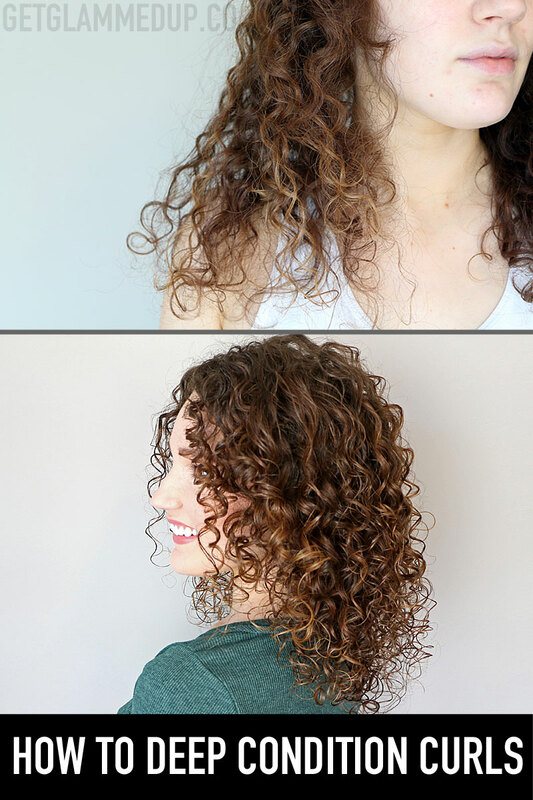 I was impressed by my results in how defined my curls were while still having so much volume. The shine was insane as well! Only thing I wish was that it was longer lasting because I had a bit of frizz at the end of the day. If you want to see how I refreshed on Day 3 hair using the Curl Talk Mouse, check out my saved Instagram story highlights. Continuing with the Curly Haircare for Beginners video series, today we're talking all about deep conditioning. So many people underestimate the power of deep conditioning, no matter what hair type you have. I used to never be consistent with deep conditioning, about for about a year now, I've been consistently deep conditioning once per week. It's truly changed my hair! In this video, I'll be taking you through how to know when you need to deep condition, whether you need a protein or moisture-based hair mask, and how to apply deep conditioner. Deep conditioning, especially when done with heat, will reduce frizz, dryness, help repair heat damage, strengthen curls, add shine and definition, and so much more. My before and after speaks for itself! Before deep conditioning, check out my video on How to Wash Curly Hair for Beginners. If you've been a follower of mine for a while, you know I'm a huge fan in sunless tanning products. After a many scares with pre-cancerous moles and sun damage from high school years spent in the tanning bed, I am adamant on staying out of the sun's harmful rays and only using self tanner to get a healthy glow. Many people are looking for how to get dark quickly with summer approaching soon, whether if you're headed on a spring break vacation or want to get a healthy glow for warmer temps. I've tried SO many self tanners, and mousse formulas are always my favorite. The best affordable self tanner is the Sun Goddess Sunless Tanning Mousse, in my opinion. It gives me a deep, natural looking, dark tan without streaks, patchiness, and is the most long lasting self tanner I have tried. I also love how quick it dries, and I'm left with a natural olive tan that is not orangey. Many struggle with how to properly apply self tanner, so today, I'm breaking it down in simple, easy to follow steps. 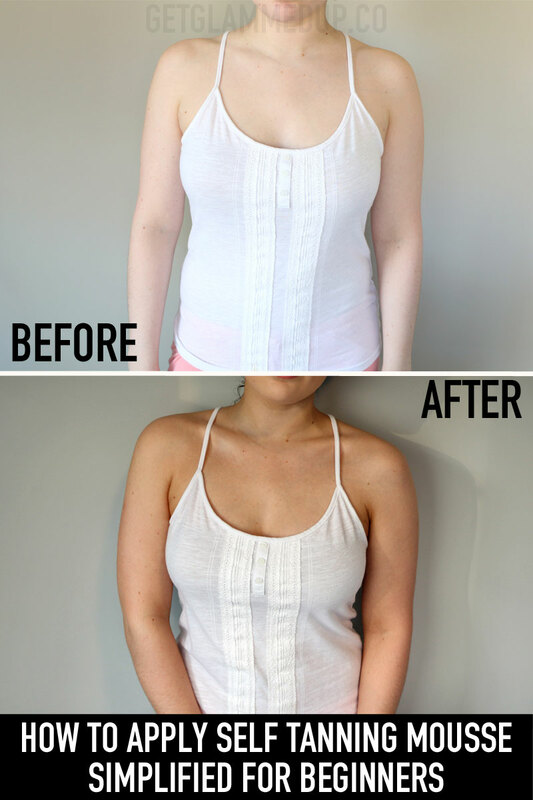 I'm also sharing tons of tips and tricks to avoid splotchy, dark patches on your elbows, hands, and feet, and how to make your tan last longer. Tan will develop in 6 hours. Leave on longer for a darker tan. Today we're kicking off a new series on my channel called Spring Declutter & Get Organized where I take you through various areas of my house that are lookin' a hot mess. We're decluttering, purging, and spring cleaning to get things in order. Spring is my favorite time to deep clean and re-organize my house, and with the warmer weather approaching, it's so motivating! Hopefully this series will inspire you to tackle those problem areas in your house and simplify your home. Even better - we're doing it all on a budget! Y'all know me. I'll be sharing tips and tricks to organize without breaking the bank. For today's video, we're starting off in my master bath. If you saw my Brand New Farmhouse House Tour, you may remember the amazing space we have in our master bathroom. However big drawers = cramming them with more junk. 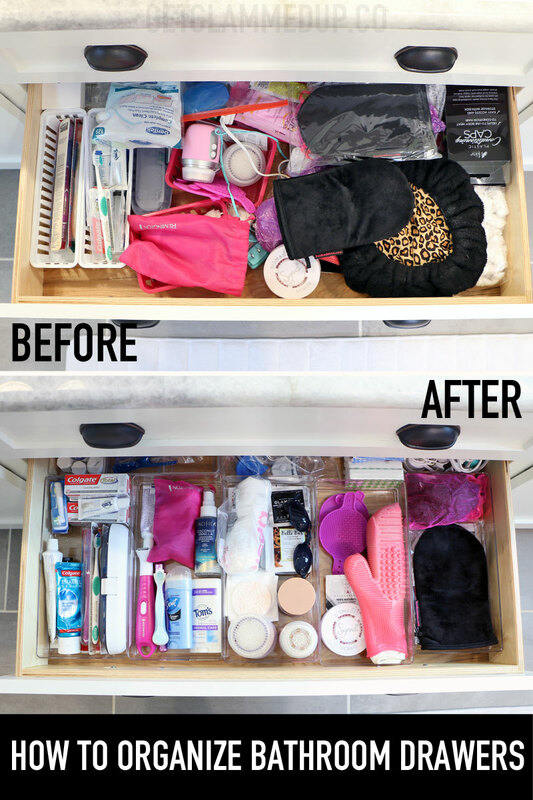 I wanted to find affordable clear drawer organizers that would fill the entire drawer and fit snug so they wouldn't move around. 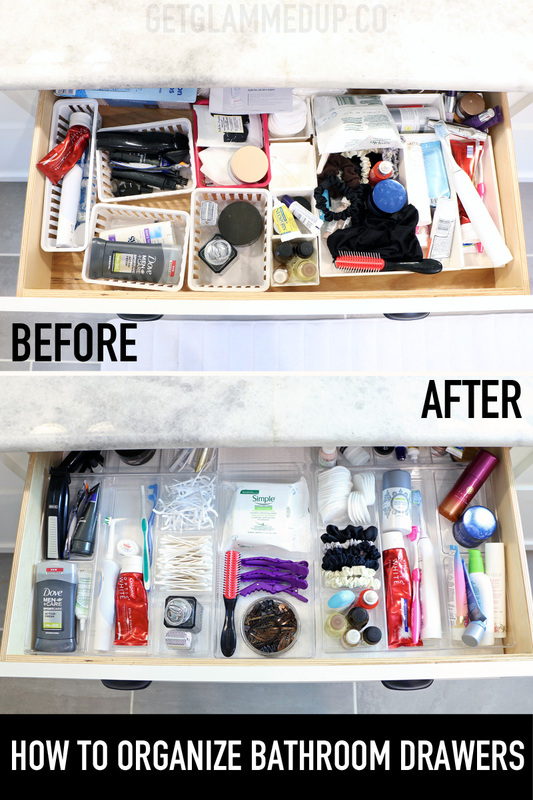 Watch the video above to see how to declutter and organize your bathroom drawers, start to finish.